Has this ever happened at your condominium? You’re on the Board of Directors. The building has not been painted in 20 years and could definitely use some restoration. You realize that a special assessment is going to have to be passed in order to start a painting and restoration project, but before an assessment can be passed, you need to know how much it’s going to cost. 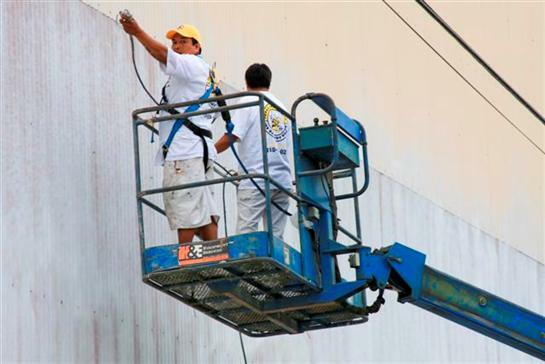 Bids for a painting and restoration contractor are requested, and ultimately High & Dry Painting Company (“High & Dry”) is hired to do the work. Without having an attorney look anything over, the association signs a contract with High & Dry and the project is underway. High & Dry arrives at the building along with a crew and equipment, and the company finishes the job in a month. The association writes a check for the full amount of the contract and everybody is happy. Or so you thought. Six months later the paint starts to crack, the manager realizes that High & Dry forgot to deliver a warranty for the work, and the association has just received a document in the mail entitled “Claim of Lien” from ABC Equipment Supply, a company the association did not contract with, threatening to file a lawsuit against the association and lien the entire building if payment is not made within 30 days. In addition, the unit owners are disgruntled with the work and start to discuss whether they should challenge the special assessment because they don’t think the restoration work was even needed. Now what? Begrudgingly you call the association’s attorney and advise him or her of all that has transpired and hope that the nightmare will soon end. After a little research by the attorney, you’re told that not only was High & Dry not licensed, but they have since closed up shop and run for the hills. The nice little project has turned into a nightmare for the association. All of this could have been avoided if the condominium association’s attorney had been contacted when the determination was made that the building needed to be painted and restored. The fact that the association did not have an attorney review the contract was the root of every problem in the scenario outlined above because contracts performed by unlicensed contractors are unenforceable in law or equity. Accordingly, the contract that the association entered into which may have provided a warranty is now unenforceable, and High & Dry is nowhere to be found. When an association signs an agreement with a contractor it must be diligent in obtaining all of the appropriate releases not only from the contractor, but also from the subcontractors, material men and suppliers hired by the contractor. Even if the association has no knowledge of who ABC Equipment Supplier is, and regardless of whether the association paid High & Dry for the full contract amount, the association may still be responsible for any outstanding sums owed to ABC. Contractual problems or disputes such as the example set forth above may be avoided by the board simply seeking the advice of a professional or expert prior to the signing of an agreement. In the case of third party contracts, an attorney would be able to prepare a contract to protect the association from unlicensed and uninsured contractors. In addition, utilizing the services of an engineer or other professional for advice as to needed repairs and restoration will further insulate the board from liability when the disgruntled unit owners threaten legal action. Some condominiums tend to rely heavily on their property managers. However, property managers may not engage in the unlicensed practice of law. This includes the giving of legal advice and counsel to others as to their rights and obligations under the law and the preparation of legal instruments, including contracts, by which legal rights are either obtained, secured or given away, although such matters may not then or ever be the subject of proceedings in a court. Finally, preventing a condominium nightmare by having an attorney review a third-party contract or consulting with an expert can save an association thousands of dollars in unexpected costs for repair, not to mention attorneys’ fees spent defending and prosecuting actions on behalf of the association.